Josh is a life-long resident of Georgia's 9th District. for all of his neighbors. Learn more about his story. Born in Franklin County, Josh has been helping our community his entire life. An educator and a Progressive Christian, Josh believes in an open table where all citizens come together in civil discussion to solve 9th District problems. Josh is committed to rediscovering our common ground and helping us work together to build a nation of compassion and cooperation. Together, if we have faith as small as a mustard seed, we can move mountains. Josh’s parents have lived in the same area of the 9th District since they were born in the 1940s. From a very early age, they taught him the values of hard work. Josh’s mother worked at Miliken-Humphrey on Currahee Mountain for almost 30 years, and his father retired a few years ago from Lockheed. He drove 100 miles each way to work every day, in large part so that he could get good insurance for his family. Josh earned a B.A. in English and a Masters in English Education from the University of North Georgia. He also has a Masters in Classical Languages from the University of Georgia. He has taught high school since 2003, and has also been an instructor at the University of North Georgia. As a teacher, Josh has learned to appreciate the value of civility and servant leadership. Josh has resided in Gainesville, GA since 2002. His wife, Jennifer McCall, is his best friend and closest ally. He has three children: his stepdaughter Mia Koch, and his daughters Kate and Abby McCall. The McCall’s favorite thing to do is laugh together. 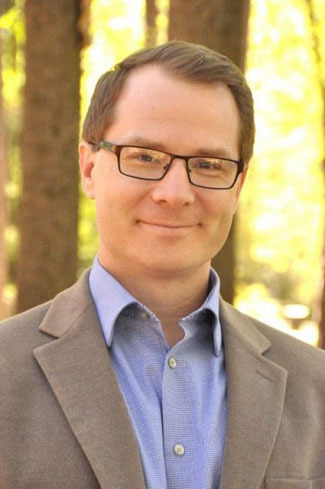 Josh McCall is a life-long resident of Georgia’s 9th District. He is running for Congress to fight for what is best for all of his neighbors. McCallForAll.com is paid for by the Campaign to Elect Josh McCall. Politicians should be listening to the people, not engaging in cash wars funded by lobbyists and big corporate interests. It is fiscally conservative to invest in a strong society up front, rather than paying a penalty for neglect. Let’s work together for a nation of compassion and cooperation. Copyright © 2017 – 2018. All Rights Reserved.